One Salon was born out of the desire to establish an ever-evolving platform for artistic expression; an atmosphere where hair designers can take their art to the next level and feel like their hard work and artistic vision matter. A place where creativity knows no boundaries and melds effortlessly with the needs of each guest to produce the best look possible. 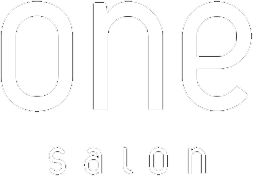 Always on the cutting edge of technology, technique and style, One Salon is a full service salon offering haircuts for men, women and children, as well as color services including tints, highlights, lowlights, balayage, ombre and custom color corrections. One Salon also offers hair extensions and hair retexturizing services including keratin treatments, Yuko Japanese Straightening, American Wave and perms. For your convenience, One Salon also employs a staff of spa professionals providing eyelash extensions, eyebrow tinting, manicures, pedicures, nail art, massage therapy, waxing and clinical facials.